The world’s oldest surviving banknotes came from China. It is believed they were the first civilization to make use of paper money. The earliest surviving notes were from the Chin Dynasty dated around 1115 to 1234 AD and can be seen in some museums. 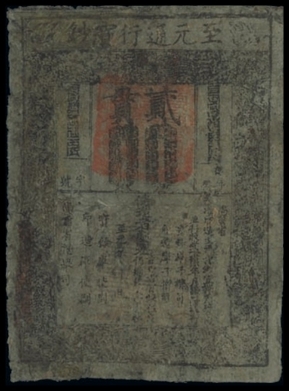 The Ming and Yuan Dynasties’ 1 Kuan are also one of the few surviving paper bills and was believed to have been used somewhere around 1335 to 1340 AD. It measured 8.75 inches x 13.25 inches and was recorded as the largest banknote until the 100,000 Philippine Peso bill took its place.